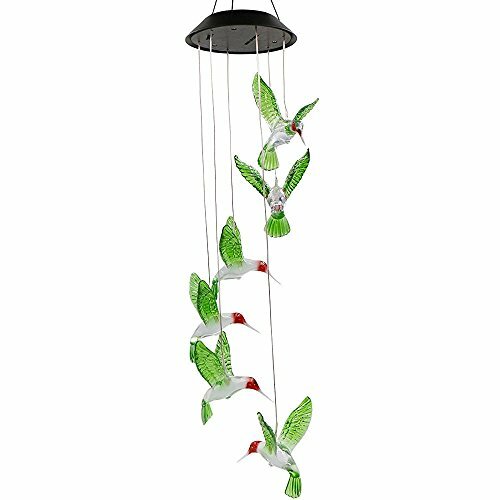 Decorating with Wind Chimes adds a unique and special element to your garden decor. 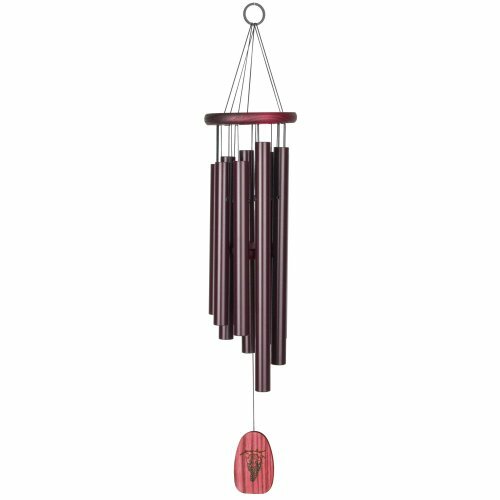 Well placed wind chimes ensure your garden is alive with music. All that’s needed is a little breeze. In addition to the melodic sounds of wind chimes, they are gorgeous to look at. Wind chimes in the garden adds height and dimension to your garden depending where you place them. Decorating with wind chimes also adds texture and color to compliment your other garden decor. I’ve slowly been building my wind chime collection. I am carefully adding and strategically placing a variety of styles and sounds. Not to say this is how all wind chimes should be be displayed. An entire row of tinkling whimsical wind chimes with bells is a cheerful and creative display. 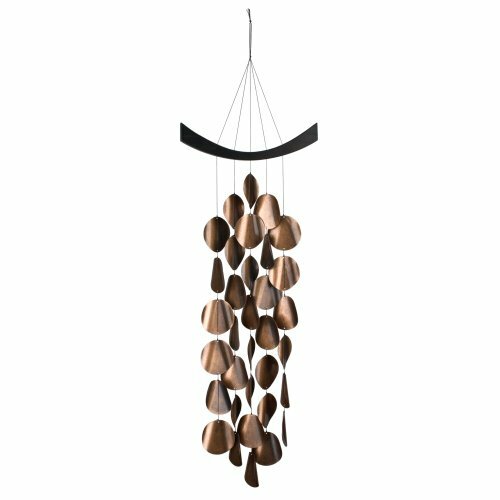 One large tube wind chime that creates a bold focal point both visually and musically makes a tremendous statement. If you have something more subtle in mind for your garden wind chimes, carefully consider the placement the chimes. It’s difficult to anticipate Mother Nature, more specifically her breezes. Most gardens and patios have areas that are more sheltered and secluded. I’m always surprised at the difference a few feet can make when placing my garden wind chimes. 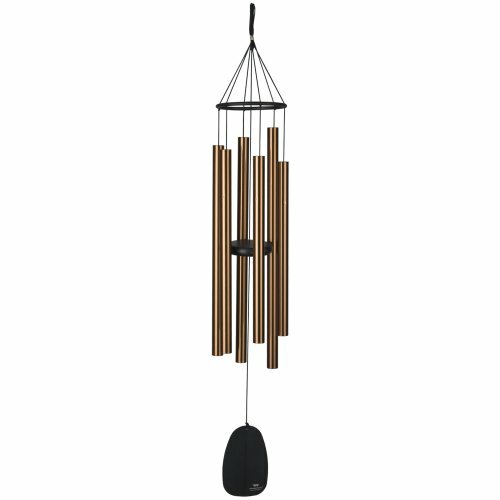 Move things around a bit to hear the difference in your outdoor wind chimes. If you are like me, color plays a huge role when choosing garden decor and yard art. This goes for wind chimes as well. I particularly like wind chimes that boast colored glass. 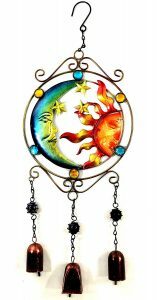 I love wind chimes that have glass balls that capture sunlight year round. A pop of color in the winter, along with a song from my garden wind chimes is the perfect cure for winter blues. In the summer color from your wind chimes combined with your flowers and plants creates an intoxicating display of color. Lots and lots of color in my garden combined with the sweet sound of colorful garden wind chimes is perfect! Wind chimes for garden decor is smart. They are so pretty to look at. Colorful and always in motion. Then there is the musical element. No one ever gets tired of hearing wind chimes in the garden! 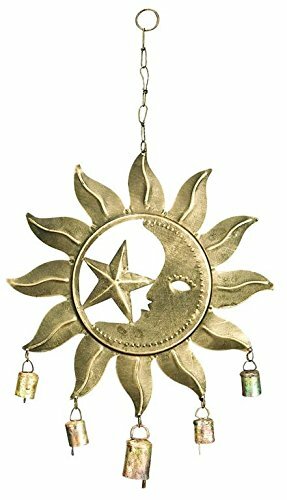 Garden wind chimes are so easy to switch out and move around. I love garden decor that can be interchanged to create a fresh new look. Placement and color aside, we buy wind chimes mostly for their music. It’s surprising how many different tunes can be heard from garden wind chimes. From the deep, resonant sounds composed from a large tube wind chime, to the merry tinkling of little bells and all sounds in between. You can create your very own orchestra in your garden using wind chimes for garden decor. You can listen to the sweet sound of the wind chimes below just below by clicking on them! 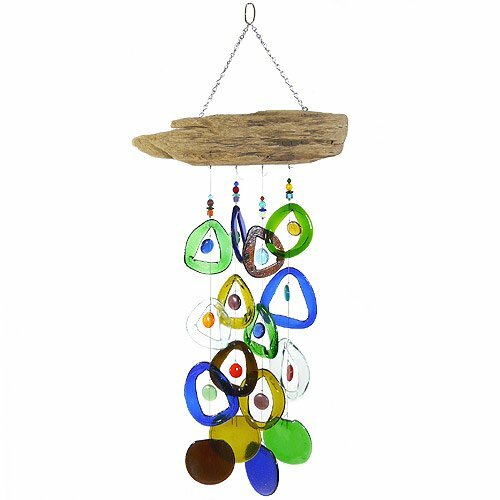 Colored Glass Wind Chimes, Garden Art, Garden Decor, garden decorating tips, Garden Wind Chimes, hummingbird wind chimes, Wind Chimes for the Garden, wind chimes with angels.